In 1886, two different Freemasonry groups (the Blue Lodge and the Scottish Ritual Grand Orients) merged creating the first headquarters of the Symbolic Grand Lodge of Hungary. From that time until 1919, the Hungarian Freemasonry flourished: almost 11,000 Freemasons worked in almost hundred lodges, such as Endre Ady, József Balassa, György Bölöni, Ignotus, Károly Kernstok, András Mechwart, Sándor Wekerle, Dezső Kosztolányi, István Ferenc Pulszky, Elek Benedek, Géza Kresz, Jenő Heltai, Ottó Bláthy Titus and many others. 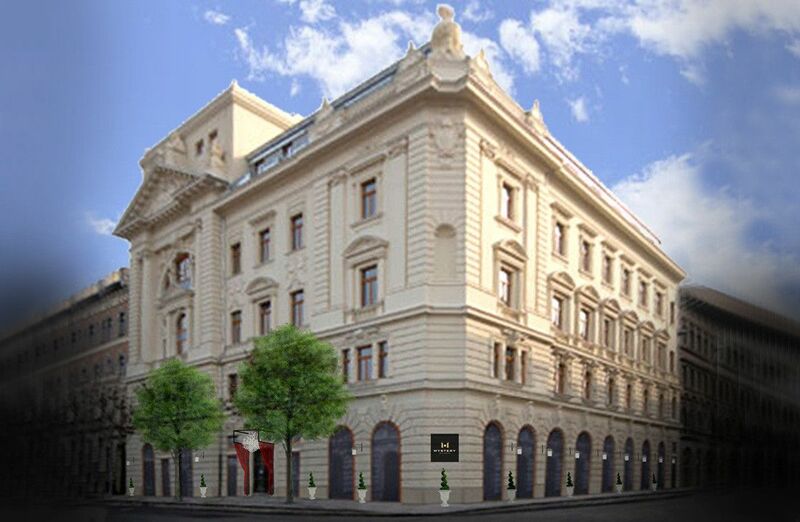 The Symbolic Grand Lodge of Hungarian Freemasons proposed the construction of a lodge house in 1890. They received 12 different entries from which the work of Vilmos Ruppert was accepted. Ruppert was himself a freemason, as he was a member of the Old Calls Lodge. The building was finally handed over solemnly in 1896. 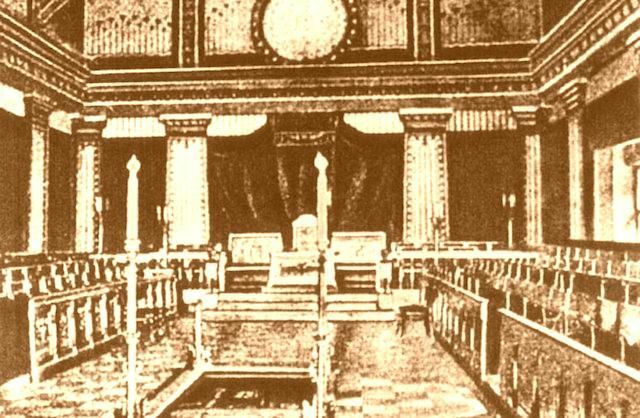 The most important venue was the great sanctuary on the fourth floor (also called Temple or Atelier by various lodges) as it was one of the most important halls of the building. Its design and decoration therefore is also the most demanding. 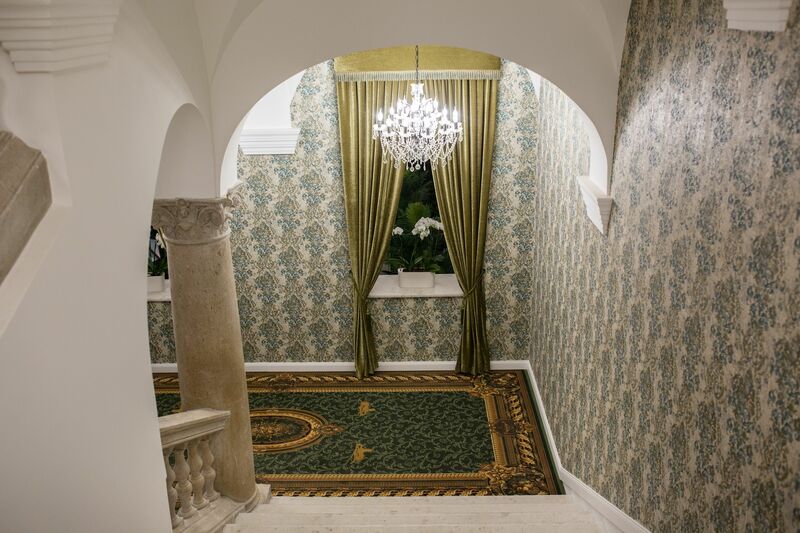 The vault has been restored by the hotel’s owners. It has a vault with a cart, with straps and longitudinal reinforcement and an overlay with blue-red shade on large surfaces, predominantly blue in the background, stylized ornamental decorations. The building served as a field hospital during the First World War operated by the Grand Lodge. In May 1920, the Hungarian Association of National Defence occupied the lodge house. Earlier, the former Republic of Councils in Hungary and later the Interior Minister of Hungary, Mihály Dömötör had formally banned the activities of the Freemasons. After the Second World War, Freemasons once again used the building for a short time until 1947, when the Interior Ministry occupied and used it until the regime change in 1989. The final status of the building was completed in 2018.